Car dents are very common and can happen so easily. They can come from people parking too close and opening their car door into yours, or from a number of other ways, like hail or a pebble getting kicked up. If you’ve ever returned to your car to suddenly find a new ding on the side of your vehicle, you know how frustrating it can be. Small car dents are easy to fix, but they still require body work and painting the entire panel it’s on to make sure it looks seamless. Sometimes these small collision repairs are unavoidable. However, we can take certain precautions to protect our cars from damage by knowing where they typically come from. Here are the most frequent causes of car dents that we’ve seen as an Asheville body shop. Car Doors – Crowded parking lots or even your own garage are where your car may be most susceptible to small dents and door dings. 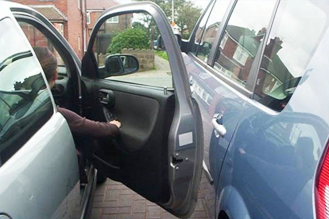 If you have to squeeze into a parking spot, there is a good chance the person next to you may just open their door without thinking and accidentally open their door into your car. Shopping carts – Parking lots can be a dangerous place for your car! If shopping carts are left out, they can easily get bumped into the cars and leave tiny dings. Hail – Natural elements, like hail or sleet, can leave damage on our cars. This makes it all the more important to keep your car covered in a garage or car port during the winter months, if possible. Luckily we don’t get a lot of this in WNC. Road Debris – Sometimes little pebbles or other road debris may get kicked up off the road and hit the car. Whether its a tiny rock to the windshield or the side of the car, it can leave noticeable damage that will need attention. Minor fender bender – Accidents happen, and even one at a low speed may likely result in a dent or two in the body of your car. 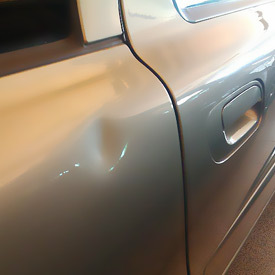 Knowing the most common causes of those annoying dents and dings is half the battle. From there, we can make sure to avoid them if we can. We might decide to park further away from the cars that are too close together. We may move the random shopping cart away from our vehicle. Some causes are harder to avoid than others, like hail damage or road debris. It’s probably safe to assume that at least some minor damage will appear on your vehicle at some point. The good news is that minor auto body repairs typically only take one day. If we get the car in the morning, we can have it ready the next day. We’ll have you back on the road in no time! If your car has dents and dings that need to be repaired, TD Customs will take care of you. 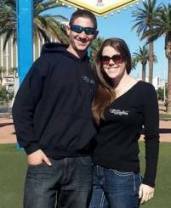 Feel free to stop by the shop for an estimate and we can get you on the schedule. See our Collision Repair page for more information. No Replies to "Avoid those car dents!"